I write to move you. I want to write a story that grips you by the heartstrings and drags you breathless through the novel. What do we all want on this earth, really? To live, to feel alive, to experience that soaring of your spirit when triumph takes the day. We all love that visceral feeling when music, art, or film grabs us by the lungs and fills us with sensation. There's a sort of liveliness inside that comes from great stories. Whether you participated in the event yourself, or followed the telling of it, the events and people in those stories can seize you and make your heart sing. It happens with unpleasant emotions too. We feel alive when things go wrong, and some people get hooked on the tension and drama of their favorite characters. We suffer their defeats, feel their pain, and share in their triumphs. You want that feeling. It is electrifying. I write to contribute something of quality to the world. There are so many books that are poorly written. There are so many stories that are trite and predictable. I want to write a book worth reading, a book that uplifts your spirit and hones your intellect. I want to write a story that is fun, gripping, adventurous, a story where you read it and become smarter, holier, without even knowing it. I want my stories to drag people along for the ride, and then in the splashdown on the very last page, you're somehow more enlivened, more attuned to yourself and the heartbeat of the universe than when you started. I want to write a book that imbues quality and originality back into the fantasy genre. I want something new, something fresh, something smart and intelligent and vibrantly alive - and since no one out there is writing it, I decided to write it myself. With my Tales of the Known World saga, I seek to deliver that zing of life up through your fingertips. I aspire to tell a story so good, and write that story so well, that you pop out the back cover and bob in the afterglow, forever changed. Can I do it? 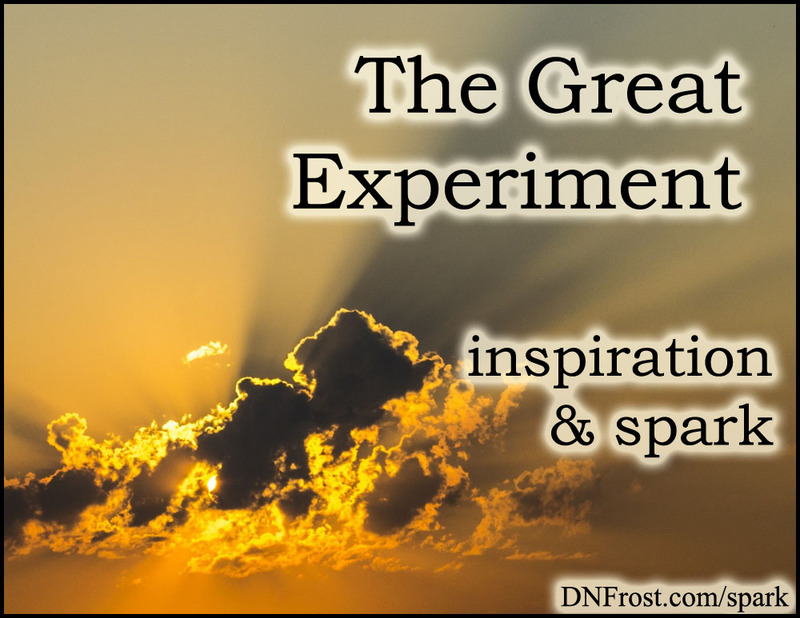 That is the great experiment: can I write the ultimate story? And can you, dear reader, take the adventure?